Nescafe announced on their facebook that they’re giving away free samples again! Click here to visit their facebook and like them. Then on the “Free Sample!” tab, click “Get Your Free Sample.” On the next page you can fill out your shipping info. Allow 6-8 weeks for delivery. If you’ve requested it before, use a new email address. thanks for letting me try this.. I have never tried your instant coffee. I sink insant. I am the only coffee drinker. Unless my grandson visit. 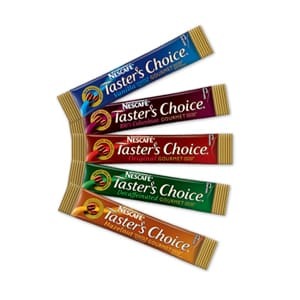 I would love to have a free sample of Nescae Taster’s Choice!! I use sweetners in my coffe to get that great flavor every time….love it…. This is pretty good for an instant coffee! Great flavor! Il would love to try them.